In a previous thread I reported on my broken slide problem. Slide was replaced under warranty by DB. I received the gun back, with a replacement slide, in a black oxide finish near the beginning of July 2017. The original slide finish was a black nitride which was much nicer. 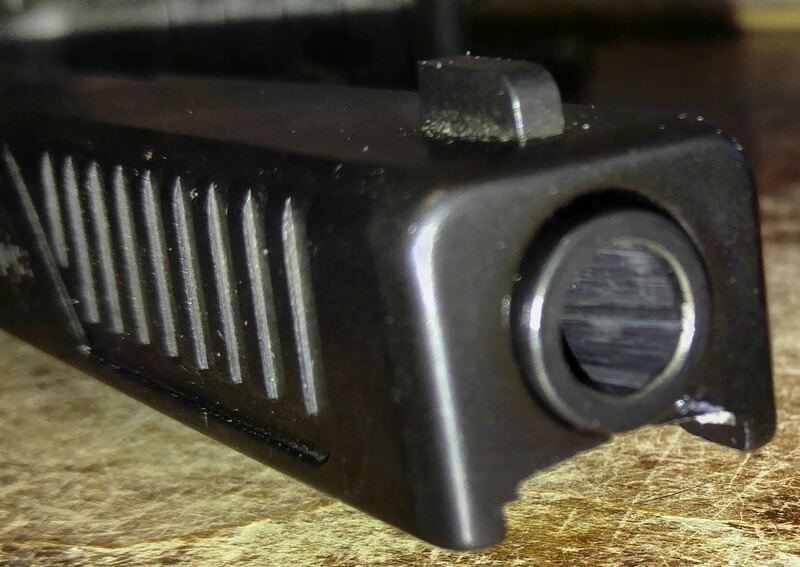 It is now the first week of Dec. 2017 and the black oxide is worn completely off on the barrel end of the slide. I have taken this gun to the range 1 time to verify function. Almost all the time I carry this gun in a OWB DeSantis Speed Scabbard leather holster. On some occasions I will carry in a leather OWB Galco FLETCH holster. I have carried the gun with the replaced slide in a OWB Kydex holster a total of 3 times. I prefer the leather holsters. It is used 1-3 times a week for personal carry/protection. Carried for no more than 6-8 hrs each time. It is holstered before leaving the house and unholstered and stored in the factory case when done. I am waiting on a response from DB. I will update as I get info. I am a bit peeved at this. I have a CW firearms class coming up next month so I won't be able to send gun back right now. This is the black oxide finish condition after less than 6 months. So far, Great customer service with this matter. Looking forward to getting this resolved. No recent info to report. Since I am having no mechanical issues they are going to work with their QC dept. to make sure I get another slide that doesn't end up like the replacement I received. The original slide that came on the gun, when purchased new, had no wear after a year of similar carry. Sent an email inquiring about replacement part. 1/04/2018 - Sent inquiry email for updates. 1/09/2018 - Sent another email asking for an update. fact they no longer use the same coating process as the original. 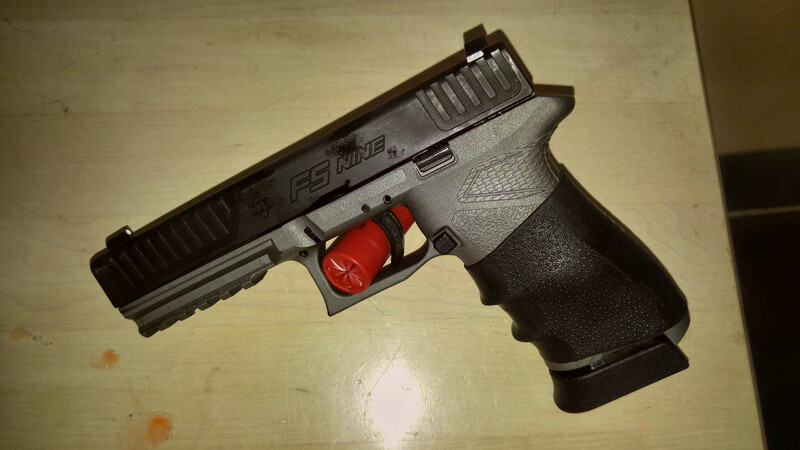 "fs9 started out black nitride and then went to px5." It will now be a ghost grey with stainless slide duo-tone. It will look something like this one I presume. 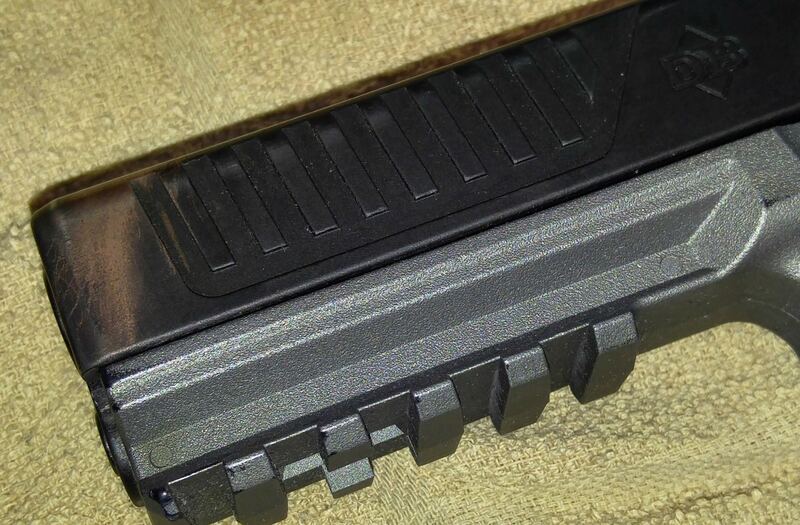 This is a close up of the original slide finish, Black Nitride, after 1 year of carrying. The finish is smoother, shinier, and looks "thicker" IMO. The replacement slide finish, PX5 Black Oxide, after less than 6 months of exact same carry as the original. FWIW... I do like my FS. I want to carry this but things are making it trying experience. A broken slide - Replaced under warranty-6 weeks. Excessive finish wear after limited carry- Awaiting resolution. New slide shipped out and on it's way. Slide arrived today. Looks good. Need to get to the range to check the sights. received just a slide..thought I was getting a barrel also. "We have a stainless steel slide that we can send as well as a stainless steel barrel, which will be more durable than the black coating." "I have decided to go with the stainless steel slide / barrel option."